Lisa has an important homework assignment to measure something in several different ways. She has to use standard units like inches and nonstandard units like paper clips to find out height, width, length, weight, volume, temperature, and time. 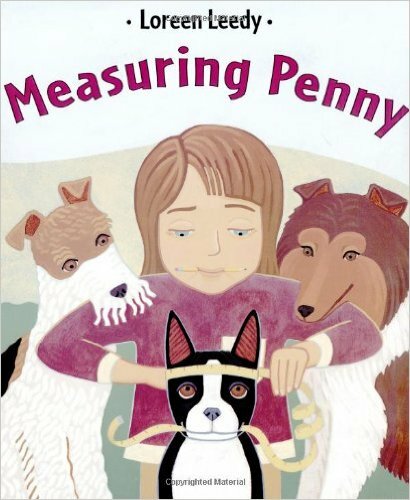 Lisa decides to measure her dog, Penny, and finds out: Penny's nose = 1 inch long Penny's tail = 1 dog biscuit long Penny's paw print = 3 centimeters wide ... and that's only the beginning! Lisa learns a lot about her dog and about measuring, and even has fun doing it. This clear and engaging concept book, delivered with a sense of humor, is certain to win over the most reluctant mathematician.